30ml: After-shave, which is masculine, evoking the spirit of freedom where everywhere is your territory. 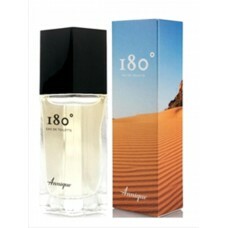 A fresh, spicy fragrance for the adventurous man who defies conventional rules. He chooses his own direction and navigates by plotting his own course. Top notes of fresh citrus, green apple, thyme and basil integrated with spicy middle notes of cedar, cloves and sage, on a foundation of earthy base notes of sandalwood and moss. Be the Man - The Braai Master! 100ml: Woody, oriental fragrance for the bold man who knows what he wants. A pure masterpiece ..
30ml: A fiery woody fragrance for the bold, adventurous and confident man. An enigmatic blend o..
30ml: A woody, oriental fragrance for the distinctive go-getter who rises above and exceeds all exp..
30ml: An aromatic woody fragrance for him to make a statement. It epitomizes self confidence and sty..